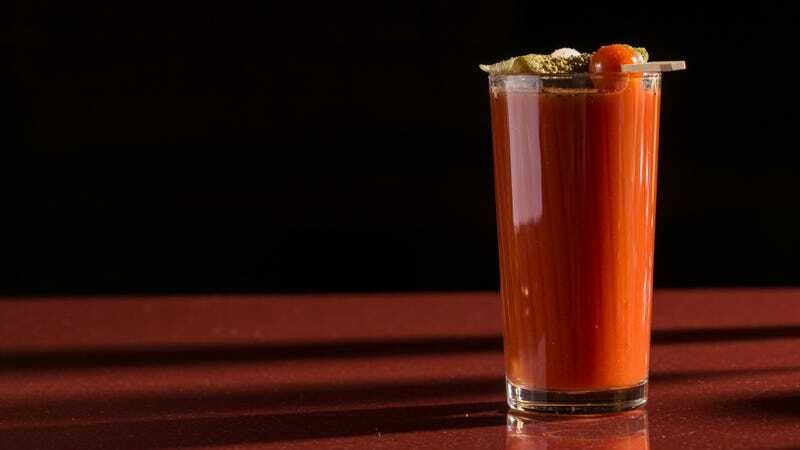 You can easily go overboard trying to improve your Bloody Mary—too many pickled accoutrements, too much horseradish (ouch), too many weirdly stuffed olives on plastic swords. My favorite Bloody Mary upgrade requires none of the fussing. It simply changes out the base booze, vodka, and opts instead for aquavit, a traditionally Scandinavian spirit with flavors of caraway, dill, and spices. Every distillery’s version of aquavit is slightly different, so it’s fun to taste which aspects of a Bloody Mary each one accentuates. Some are heavy on the caraway; others emphasize lemon or dill or rosemary. You can liken aquavit to gin in a way, says Tad Hilton, tasting room manager at Montgomery Distillery in Missoula, Montana, because aquavit also begins as a neutral spirit to which each distillery adds its own flavoring botanicals. Montgomery’s Skadi aquavit is lemon- and dill-forward, which he says makes it especially delicious with the bright, tangy pickled flavor of a Bloody Mary. If you find aquavit at a local distillery or liquor store, use it in the same proportions you would vodka in a Bloody Mary. Do note that some can be slightly higher proof than vodka; North Shore’s is 90-proof whereas much standard vodka is 80-proof, Kassebaum says, “but that never seems to bother me.” Garnish that salted rim with a sliver of candied bacon, and tell us that’s not the best Bloody Mary you’ve ever made.